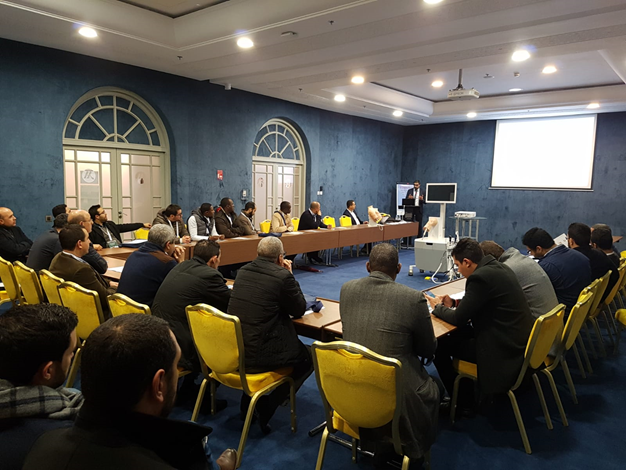 The Moroccan Society of Arthroscopy (SMA) invited VirtaMed as well as all the deans of the different faculties of medicine of Morocco to Fes for the 13th congress of the SMA which took place from 1 to 2 February 2019. Pour lire cet article en Français, veuillez appuyer ici. 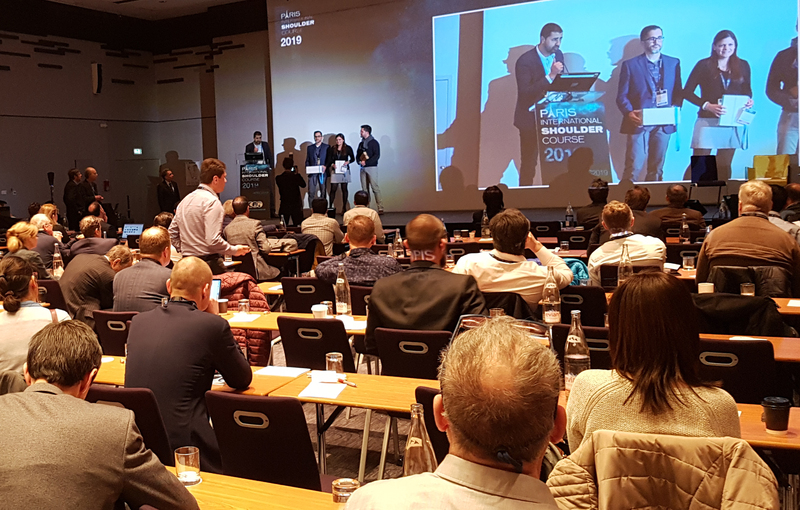 According to SMA President Bilal Sennoune, the presence of VirtaMed ArthroS™ simulators has given a great added value to the Congress: "The goal is to maximize the means to ensure a high-quality continuing education in line with international standards, especially for our young colleagues." In fact, arthroscopy experts were impressed by the simulators, which were used non-stop throughout the conference. An independent orthopedic surgeon from Rabat was so surprised and noticed: "This simulator is even more real than reality." Dr. Sc. Magid Haddouchi interacting with Moroccan surgeons on the simulator. 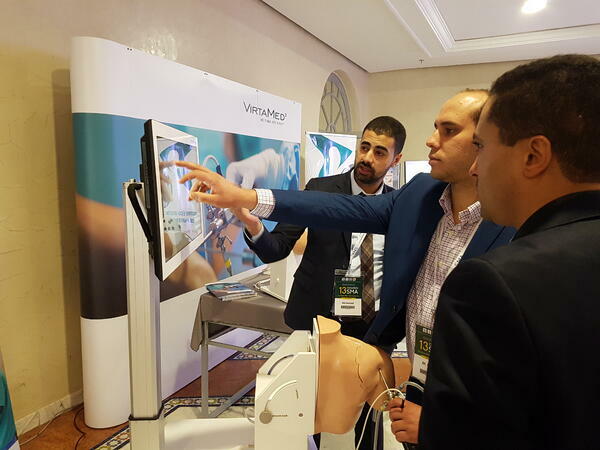 The workshop led by VirtaMed and dedicated to arthroscopic simulation was a moment of exchange between the various Moroccan arthroscopy teachers, the members of the SMA Committee and all the surgeons present in the audience. In addition, this moment of sharing was an opportunity for Dr. Sc. Magid Haddouchi, to reconfirm the desire of VirtaMed to enter into a long-term partnership with the SMA, and in particular to meet the demand of the SMA to integrate the VirtaMed ArthroS™ simulator into the arthroscopy educational program and board exam within the Kingdom. The work done and the curriculum developed in France with the Francophone Society of Arthroscopy and the French College of Orthopedic Surgeons and Traumatologists will certainly serve as a model to standardize the training and education of arthroscopy in Morocco. Dr. Sc. Magid Haddouchi in exchange with Moroccan teachers and surgeons as well as members of the SMA Committee. Dr. Johannes Barth, Vice President of the SFA, using the ArthroS™ Shoulder under the eagle eyes of his expert colleagues from all over the world.